Below is the abstract for my talk at Brighton Digital Festival conference “The Messy Edge”on 28th of September in the fabulous Attenborough Centre for Contemporary Arts. Even for the privileged there is no ‘off grid’, no ‘outside’ of the ‘digital condition’. “Our every action is recordable and monitorable to a new degree and with unprecedented intimacy: your phone traces your movements, your thermostat knows when you are asleep, search engines know what you think.” Our entanglement with ‘digital cultures’ is no longer partial or voluntary it is a total social fact. But the truly ‘game changing’ feature of this new reality is only just coming into focus; it is the ‘vanishing’ or disappearance of the space between knowledge and action. 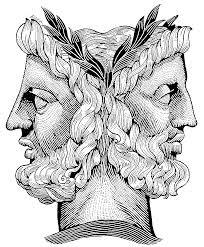 Today’s digital cultures, Janus-faced, point in two directions – ‘Smart infrastructures’ mobile devices, social media platforms are instruments for both capturing and analysing data whilst (and this is the game changer) they are also the means to directly intervene in all aspects of our lives. Whether ‘flash crashes’ on stock markets or Facebook’s experiments in so-called ‘mood manipulation’ through to the UK charity the Samaritan’s short-lived app ‘Samaritan Radar’ designed to alert twitter followers of those deemed to be at risk of suicide, however different in motivation, these interventions all share the feature of being automated and instantaneous. Hence the disappearance of the deliberative space that once existed between social knowledge and social intervention. The question is not only one of resistance to the ‘control society’ but also includes the very opposite anxiety that control has been lost altogether and we are spiralling into what theorist Micheal Seemann has called the ‘digital tailspin’. This talk will draw on recent research into the emergence of new autonomous social movements and ask what politics should look like when issues like sovereignty and autonomy are successfully appropriated by the far right? What lessons can we learn from the new fault-lines emerging in the age of mass traceability.